At Plastindia in Gandhinagar – Ahmedabad (Booth 1236) BrücknerServtec presentssolutions to enhance the efficiency and profitability of existing film production lines of all manufacturers. 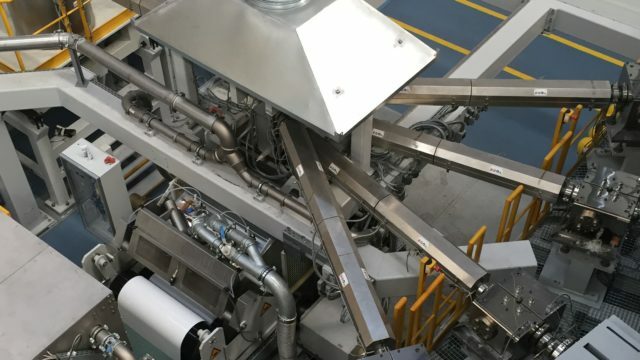 Enter new high-margin film markets with BrücknerServtec’s multilayer upgrading solutions for all existing film production lines. Multilayer films combine enhanced film properties with a cost-saving “one-shot” production method, reducing the need of expensive additives or further conversion steps (e.g. high-barrier film, white film). The upgrading solutions to 5-, 7- or more layers are individually tailored, depending on the desired production characteristics and market needs. Keep your asset fit for a very long service life with the professional BrücknerClip & Chain refurbishment service in India. The refurbishment workshop is equipped with latest state-of-the-art equipment and tools,providing the best way to disassemble, clean, fix and correct small and major mechanical issues. The refurbishment is closelycontrolled and continuously reviewed with the expertise of the original equipment manufacturer (OEM). Combined with short delivery times, on-site support and rental parts,it is the best and cost-effective treatment for your clips on the Indian subcontinent. At the joint Brückner Group booth, besides BrücknerServtec visitors will also meet BrücknerMaschinenbau, showing the latest trends in film stretching technology, Kiefel, showing new developments for the packaging, automotive, medical & appliance industry, and PackSys Global, presenting advanced packaging equipment. BrücknerServtec, the unique service company for all biax films stretching lines, is a member of the Brückner Group, Germany, a worldwide leading supplier of tailor-made engineering solutions and services for the plastics and packaging industry, with more than 2,400 employees. Other members of the group include BrücknerMaschinenbau, the worldwide leader in film stretching lines, Kiefel, specializing in machines for forming and joining plastic materials for a variety of industries, and PackSys Global, one of the world’s leading packaging equipment manufacturers.